More than 10,000 people wearing red scarves marched through Paris on Sunday (27 January) in protest at “yellow vest” violence during the anti-government demos that have drawn tens of thousands of people to the streets over the past 11 weeks. 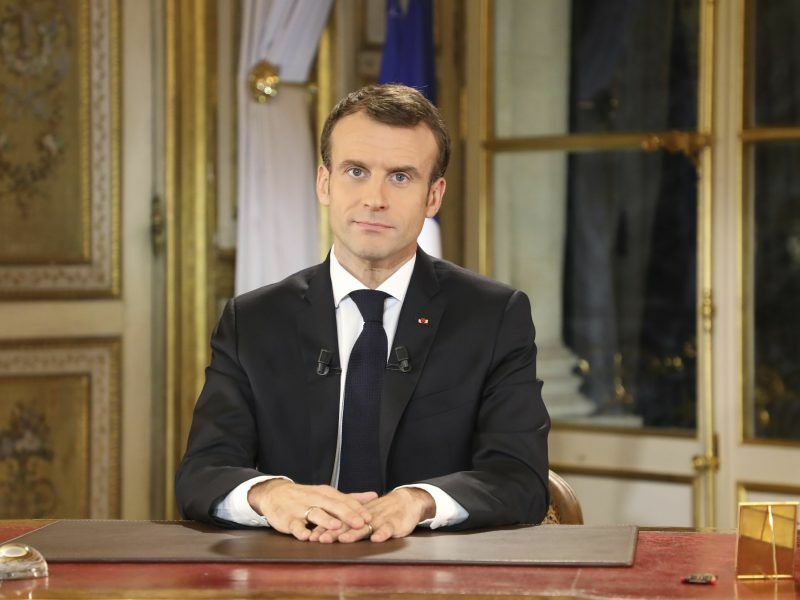 Embattled French President Emmanuel Macron Monday (10 December) announced a series of financial measures seeking to defuse the “yellow vest” revolt that has triggered violent protests in cities across the country. 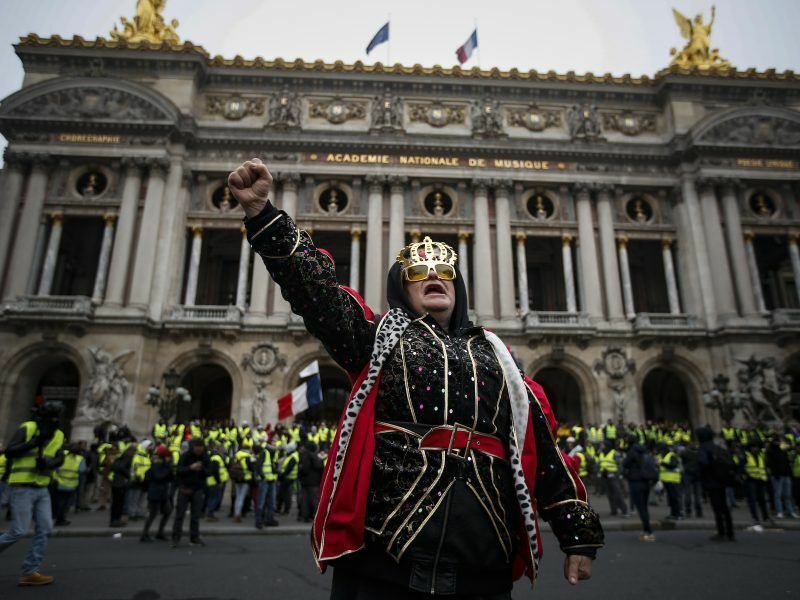 In Sunday’s rival protest, the crowds marched in rain from the Place de la Nation square to the Bastille monument, some chanting “Yes to democracy, no to revolution” as they waved French and European Union flags. Many protesters joining the rally said they were not against “yellow vest” demands for greater help for France’s poor, but were sick of the clashes and destruction that have marked protests for 11 consecutive Saturdays since mid-November. “It’s not a protest against the yellow vests — it’s a protest to say, you’ve made your demands, we are listening to them,” Francois Patriat, a senator from Macron’s centrist party, told AFP at the demonstration. 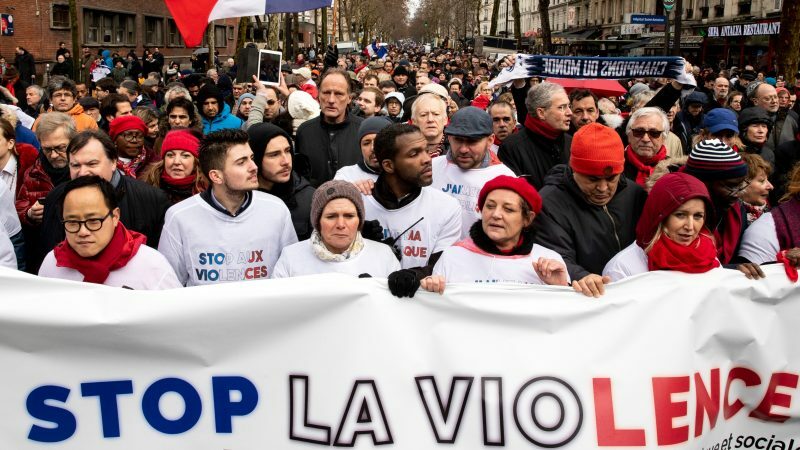 Sunday’s protest was almost double the size of the “yellow vest” demonstration in Paris a day earlier, when some 4,000 people came out to rail against Macron. Saturday’s protest in Paris saw a prominent “yellow vest” activist, Jérôme Rodrigues, badly injured. Both Rodrigues and his lawyer Philippe de Veulle said he was hit in the eye by a police rubber bullet, an anti-riot weapon that has become highly controversial in France. “He is in shock. He will be handicapped for life. It is a tragedy for him and his family,” de Veulle told BFM television. De Veulle said Rodrigues was struck in the eye with a “flashball”, referring to the 40-mm (1.6-inch) rubber projectiles used by French riot police. Later Sunday Rodrigues told reporters he would remain in hospital for a further five days, adding that only time would tell if his vision had been damaged. He said he had agreed with Eric Drouet, another leading figure in the movement, to launch a “call for calm” while at the same time pressing on and strengthening the protests “without violence”. “I will not stop, I will be back at the demonstrations as soon as my health permits me,” he said. Junior Interior Minister Laurent Nunez on Sunday told LCI television there was “no evidence” to show Rodrigues was hit by a police rubber projectile. Investigations were still looking into the incident. The devices — which are not used in most European countries — have been blamed for dozens of serious injuries at “yellow vest” protests, leading to calls for them to be banned. Rodrigues’ lawyer insisted his client was not one of the “hooligans” who have been joining the weekly protests to cause trouble for police. In the video, Rodrigues can be heard several times warning protesters to leave the Bastille area because hard-left “black bloc” agitators were coming to attack the police. Witnesses picked up the projectile that struck Rodrigues and police are investigating the circumstances of the incident.